If you are too, then here’s my Top 2 Things to watch from this past fortnight. 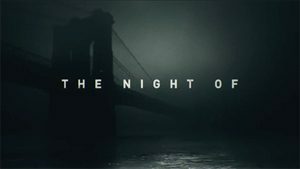 A remake of a British drama doesn't always fill me with confidence, however, the reviews for 'The Night Of' meant it should be worth a watch. And it was. Eight episodes, rather than the original five in the award-winning Peter Moffat version, Criminal Justice, eight years ago, this HBO adaptation, broadcast on Sky Atlantic looks at the randomness of justice, and whether you actually get justice in the legal system. It's an eclectic array of characters that tell the story of a crime in New York City, that use both subtle humour and horror to great effect. Not always likable, the characters are though engaging. Riz Ahmed gives a hypnotic performance as Naz in the lead role, as do the soon to retire cop and scruffy solicitor. Boys Club Rating: For anyone still missing The Wire, it's a worthy substitute. I have to admit this is one of my guilty pleasures. I haven't watched it for that long, but if I miss it, I do try to watch it on catch-up. A spin-off from Casualty, it's takes us through the lives of hospital staff, how their lives are entangled and how they deal with incidents, and the impact it has on their work and private lives. I'm not a medical professional, and I'm sure if I was I'd have a different opinion, but if you are looking for a drama-soap that has interesting story lines and a decent script and actors then give it ago. Boys Club Rating: A really enjoyable TV series but a little warning, though. Somehow we always manage to be eating when it's on TV, and gory operations with your evening meal are not the best - but may help with your diet, if not your appetite.